A simple rectangle, this flattering garment looks amazing on everyone. It's a great first time lace project as the pattern is worked on large needles with super bulky yarn. 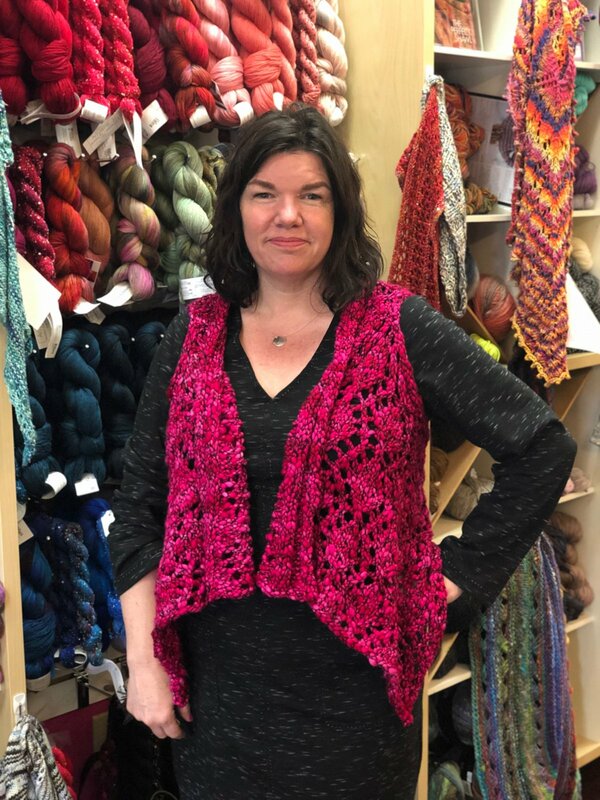 In this class you'll learn to work the lace pattern, an afterthought armhole, and so much more. Be sure to sign up for class ASAP, spaces are limited. It is important that you swatch before class to check your gauge is on track. Cast on 16 stitches and knit a row, purl a row until you have a square. Wash your swatch the way you?ll wash your sweater.